NBC 6's Erika Glover reports on Brenda Snipes' decision to fight a suspension imposed by outgoing Florida Gov. Rick Scott. 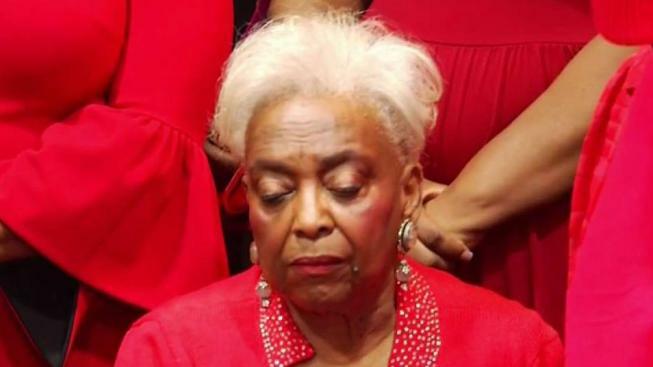 Snipes responded by rescinding her previous resignation — and will now be "fighting this to the very end," her attorney said during a Saturday news conference. "We believe these actions are malicious, we believe that the allegations that are set forth in the governor's executive order are done for the purposes of embarrassing Dr. Snipes – embarrassing her and tarnishing her record, and we will be fighting this. In addition to that, Dr. Snipes herby rescinds her resignation that was set forth which would have been effective on the fourth of January," Snipes' attorney Burnadette Norris-Weeks said in a press conference. 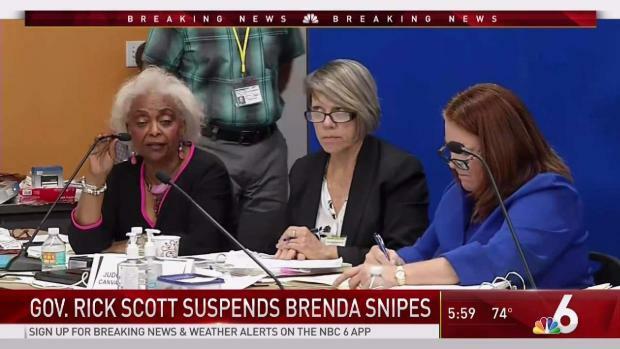 Almost a month before she was set to resign, Broward County Supervisor of Elections Brenda Snipes has been suspended from office by Florida Gov. Rick Scott. Norris-Weeks said that Broward County voters should be concerned about what Scott is trying to do in the Democratic stronghold by putting in an ally who could oversee the office into the 2020 elections. Snipes has been the top elections official in the south Florida county since 2003 when then-Gov. Jeb Bush appointed her. She came under withering criticism for her handling of this year's elections, as well as its legally required recount in close races for governor and U.S. Senate. She had been elected three times and her current term was not scheduled to end until 2020.